Hotel Vip Inn Berna, Lisbon. 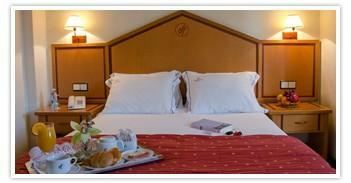 Vip Inn Berna Hotel Lisbon. The VIP Inn Berna Hotel in Lisbon is a very comfortable hotel just at five minutes from the city centre, close to the bullfight arena of Campo Pequeno and the International Airport of Lisbon is only 15 minutes far away. Guests can park the own car in the private parking and use the public transportation next to the hotel such as bus, taxi, underground and train (less than 100 meters). The 240 rooms including 2 suites have been recently renovated to offer the modern comfort both a leisure stay and business trips. The hotel is ideal as well to organize conventions, conventions, meetings and banquets with 7 meeting rooms very functional with the capacity between 15 and 185 people.